Taken at Fred Hunter Memorial Garden. There are 2 transparent figures in front of the hedges, top-middle of screen. Blow-up. The hedge can still be seen through the figures. Images taken 3-26-11 with a full-spectrum camera. Taken 9-11-10 at Peacock Park, Coconut Grove. Transparent figure between far wall and photographer, far right image. Blow-up. Figure on right eerily similar to one captured at Fred Hunter Memorial Garden. Apparition appears to be walking towards photographer (note bent leg). 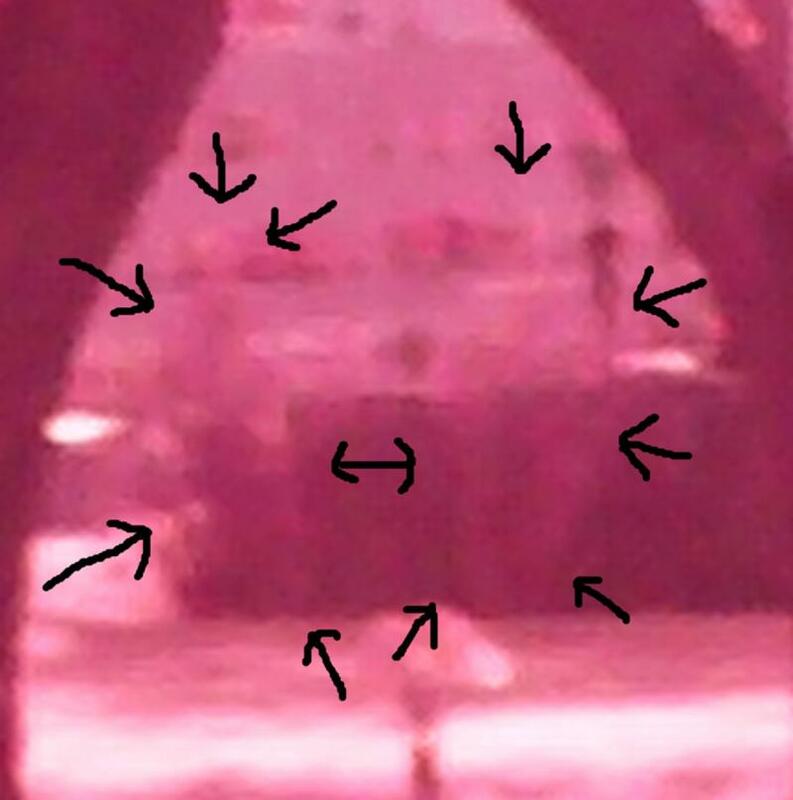 Possible 2nd figure to the left of the main apparition. 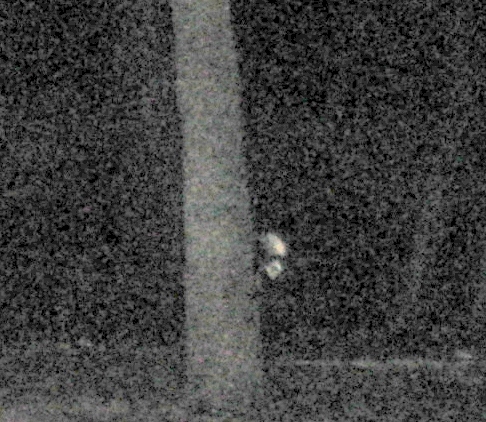 Several team members had noticed a dark figure shadowing Marcos, sometimes moving alongside him and at times moving away. 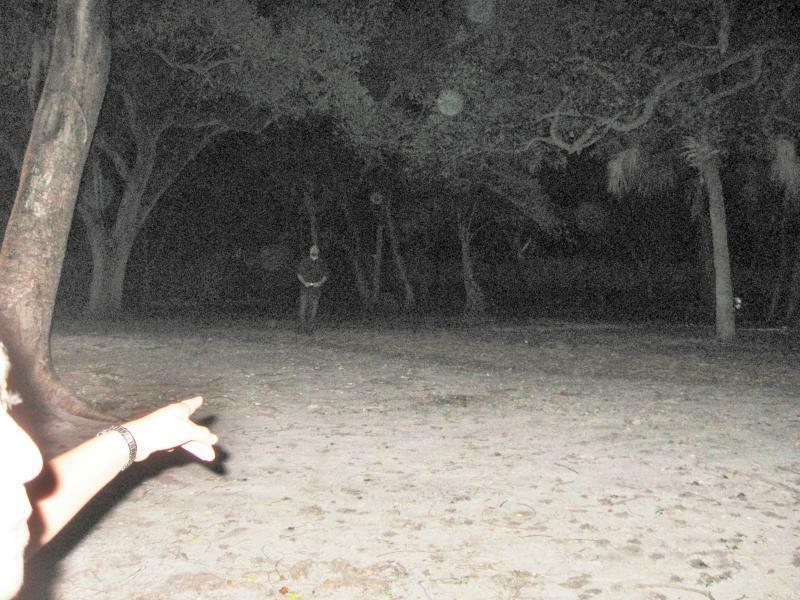 When this image was taken Claudia was pointing away from him, in the direction she had seen the dark figure move towards. Blow-up. Notice palm tree in foreground right.